Solid brass chrome plated tap. Minimum working pressure 0.2 bar. Complete with tap tails and press top waste. 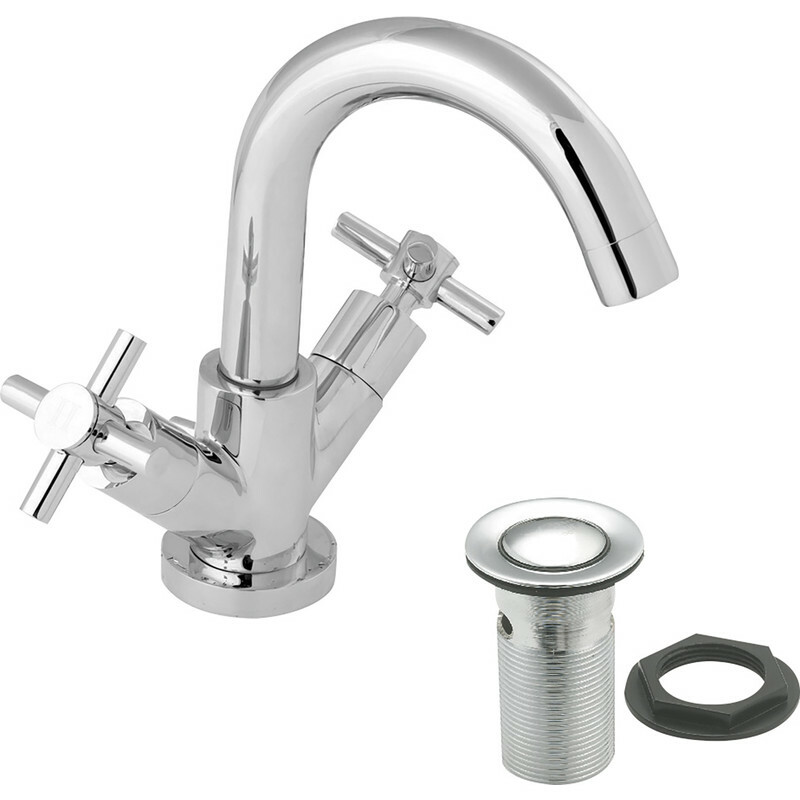 Deva Motif Mono Basin Mixer Tap is rated 4.3 out of 5 by 3. Rated 3 out of 5 by Olivermollytilly from Very good looking but dribbles Plumber fitted mixer tap and it looks great but dribbles for several seconds after you turn it off. Annoying!! It seemed to settle down after a couple of days but has started dribbling again after being turned off. Rated 5 out of 5 by MV70 from Great tap for the price. Bought this as a replacement for a much, much dearer tap because it was very similar in looks. And in my opinion a for the price, a Great basin tap.